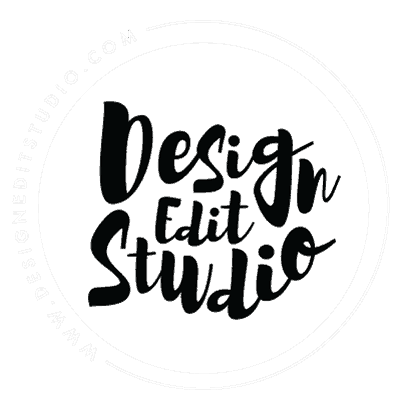 Why Choose Design Edit Studio? Design Edit Studio, LLC offers superb service in the design, development and marketing of your website. I strive to give my clients the best solution as the most cost effective price. I am always staying ahead of the design and development trends and Google best practices for websites. I love my clients and bring enthusiasm and commitment to all my projects. If you want a partner who cares about your business, choose Stephanie Fredrickson from Design Edit Studio, LLC. I listen and provide honest ideas and plans. I provide the whole package when working with my clients. I’ve been designing and developing websites for a decade and have that knowledge and experience to make your project a success. I am passionate about helping my clients achieve their goals and care about their business! I can also provide ongoing support, maintenance and marketing services after your project is launched. Just ask and I’ll provide a quote for these important services. How Do I Get a Custom Website? Head on over to the Quote Page https://www.designeditstudio.com/quote/ and tell me about your project. You'll receive an estimate and can schedule a free phone consultation with me to discuss your project needs! Can You Design My Logo and Brand Image? Yes! With a 10+ years of branding and marketing experience, you can be assured your brand image and logo will represent your brand and speak to your customer. You'll get it all! Logo for your website, custom print materials, email marketing graphics, social media marketing graphics. No Design Edit Studio does not provide website hosting. We recommend Host Gator or A2 Hosting. We do not work with Windows Hosting or ASP.NET hosting. What Shopping Carts Do You Work With? We work with many popular shopping carts like Shopify, Magento, Prestashop, BigCommerce, WooCommerce. We also can develop and design for CS-Cart, OsCommerce, Shoppe Pro, Merchant Moms. The only type of shopping carts we don't work with are ASP.net technology. Contact Us if you don't see your cart or content management system listed. Can You Make My Marketing & Website Graphics? YES! We make all your website graphics when your website is designed by us! You'll get banner and homepage images, custom category page graphics, social media graphics and more! Check out our Marketing Portfolio to see examples. Can I Just Get a Blog Design? YES! We can design and develop a secure and fast loading WordPress blog if you're a professional blogger, food blogger, fashion blogger and more! Check out our Web Design Portfolio to get some inspiration for your blog design. Can I Just Get an Informational Website Designed? YES! We can design a custom, easy to update informational website for your business. What Is Your Design Process? I work to make sure my clients are involved in every step of the design process. See our full Design Process - https://www.designeditstudio.com/design-process. We do not give refunds, All Sales are Final. All downloadable files in our shop are not eligible for refunds. We reserve the right to refuse or cancel any project, at anytime, without giving reason. Once work has begun on your site, a lot of planning and hours have already been put into the creation and development. If for any reason the Client decides to terminate this agreement, written notice must be given either through electronic or postal mail. The Clients project will suspend at such time and no remaining balance will be due on design work. There will be no refund for any past balance paid before the termination notification was received. *Refunds may be given if the work is terminated by Design Edit Studio, LLC and Design Edit Studio, LLC reserves this right of termination at any instance. Please refer to "Web Design Terms"
We accept Visa, MasterCard, Discover and Amex. We do not accept checks, bank transfers or money orders. What Are Your Design and Coding Skills? Other Services: Google Webmaster Tools, Google Analytics setup, graphic print design, social media marketing, brand consulting, logo design, website maintenance, website setups, website upgrades, product upload, retail marketing plans and consulting, business sign design, project management, landing page design, MailChimp set up and custom templates, photograph touch ups, social media graphics, website marketing graphics, shopping cart setup, blog content creation and SEO.